Okay, okay, this one is asked often.... how do I review something I have seen before? Easily. Particularly if it is from a different theater group. I love to see different versions of the same story, whether on stage or the big screen. For example, there have been numerous versions and facets told of the maritime disaster of Titanic in 1912. They are each good in their own way. But a classic fictional work like the 1934 P.L. 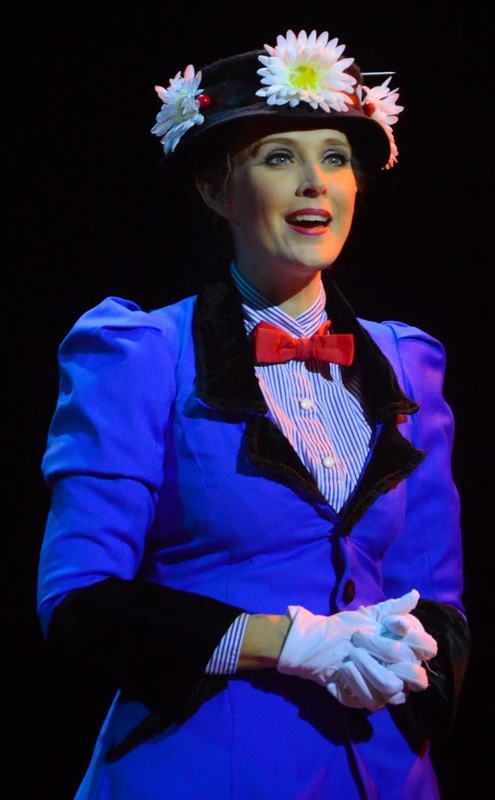 Travers' Mary Poppins? 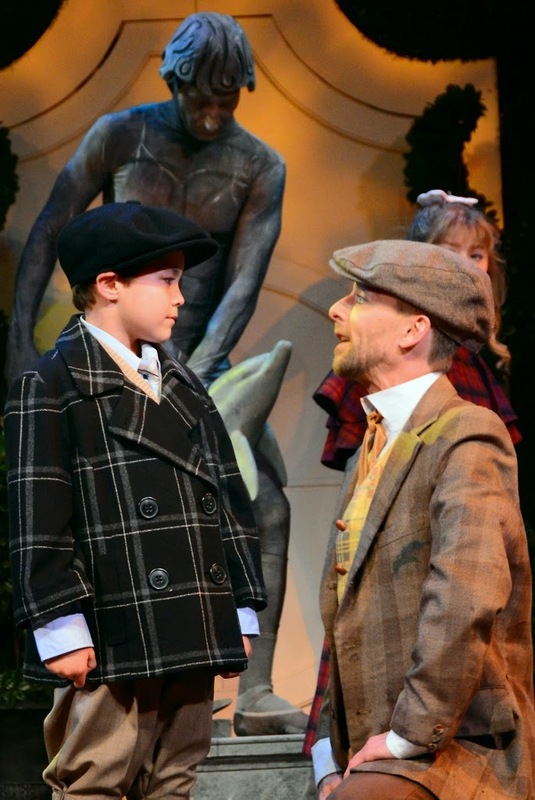 Buddy Reeder takes the quiet approach to his role of Bert, the chimney sweep and artist who befriends the children and takes a holiday with Mary Poppins, portrayed by Cara Statham Serber. 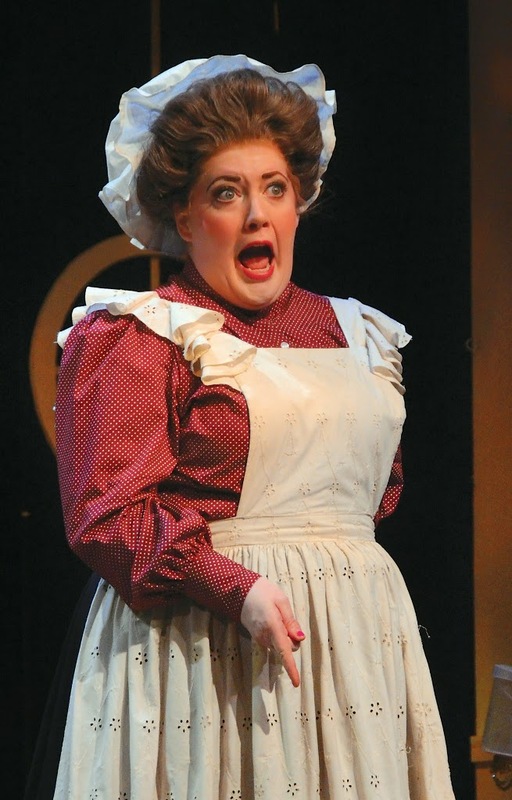 Serber serves up the role of the nanny best during "Practically Perfect" and "Feed the Birds." Don't underestimate Reeder's less comical style than Van Dyke's Stretch-Armstrong version of the man who keeps the story moving along. Reeder's strength lies in his high-energy dance steps, laid-back facial expressions and cat-like entrances and exits, drawing the audience into his character. "Step in Time" brings down the house with applause for good reason. Logan Sejas surprises as the young Michael Banks especially when discovering it is his first foray onto the northside stage. His confidence and ability to hit every cue bely his lack of experience and give reason to believe he will grow admirably in his acting career. Also in the spotlight is Chelsea Leis as the Bird Woman. This song is significant as the turning point in the world of the Banks' children and patriarch. Leis' "Feed the Birds" was both haunting and sweet. 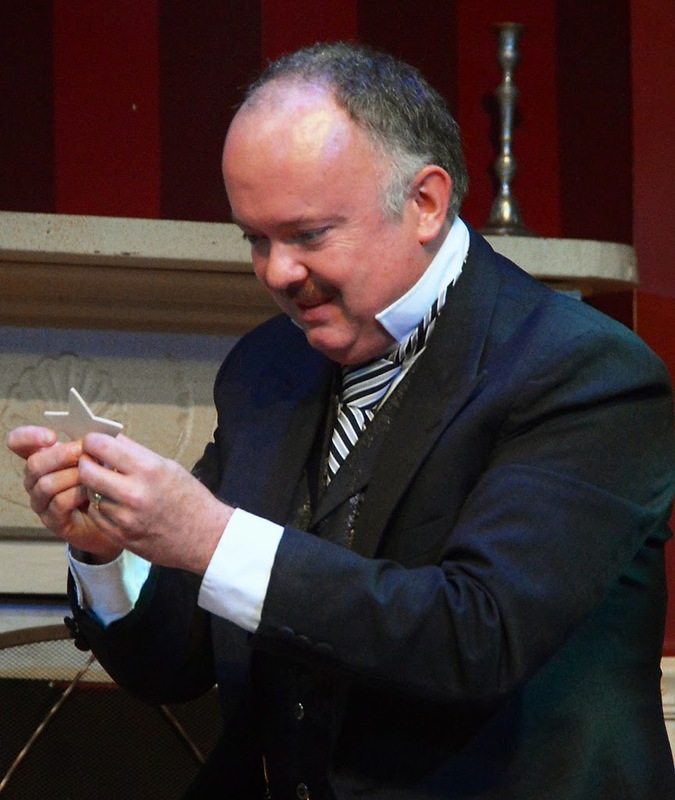 Stepping into the role of Mr. Banks is Eddie Curry, an audience ~ and critic ~ favorite. Typically set into "good guy" roles such as a minister or loveable sidekick, Curry gives a different view of his talent. The uber strict and uptight banker believes life should be about discipline and order and Curry's rendition of "A Man has Dreams" reminds us that Curry's vocal talents are often overshadowed by his comedic work. 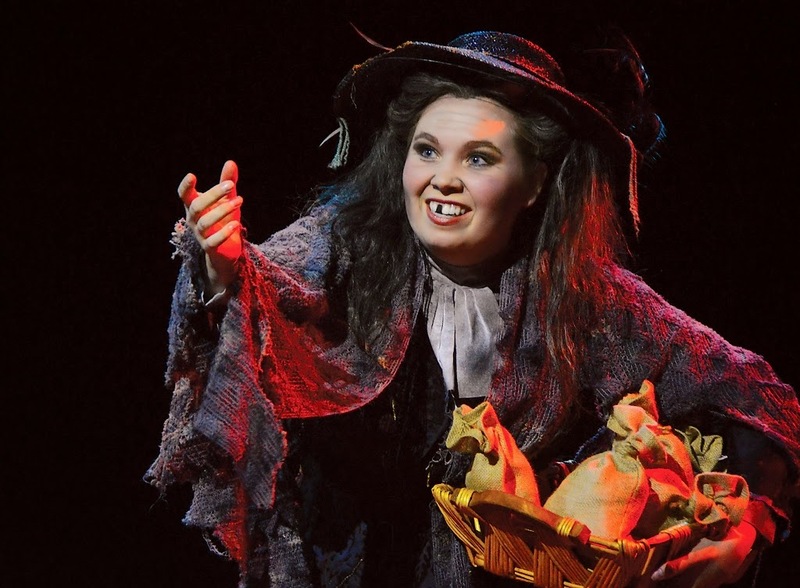 Laughter was heard throughout the production, but with Curry taking the dramatic role, the comedic baton was picked up by Kelly Teal Goyette as Mrs. Brill, the Banks' cook. Taking the exasperation of the chaos around her, Goyette turns it into multiple opportunities for a hammed-up quip in an absolutely delightful performance. Special note: Most shows can be seen throughout the run with more-or-less the same level of performance. There will be some changes and tweaking, but nothing worth a second visit. I firmly believe as good as this show is now, it will be spectacular by the end of the run and worth a second attendance. The main characters, I believe, will come into their duets more smoothly, the young Mr. Sejas will learn to speak louder and the dance of the chimney sweeps will be adorned with higher kicks and an even more jovial attitude as confidence is earned and the performers and dancers become more comfortable with each other. But, a word of caution, plan on getting tickets early as there are several sold-out performances already and additional shows are currently being added as word of the quality of the show gets around town. 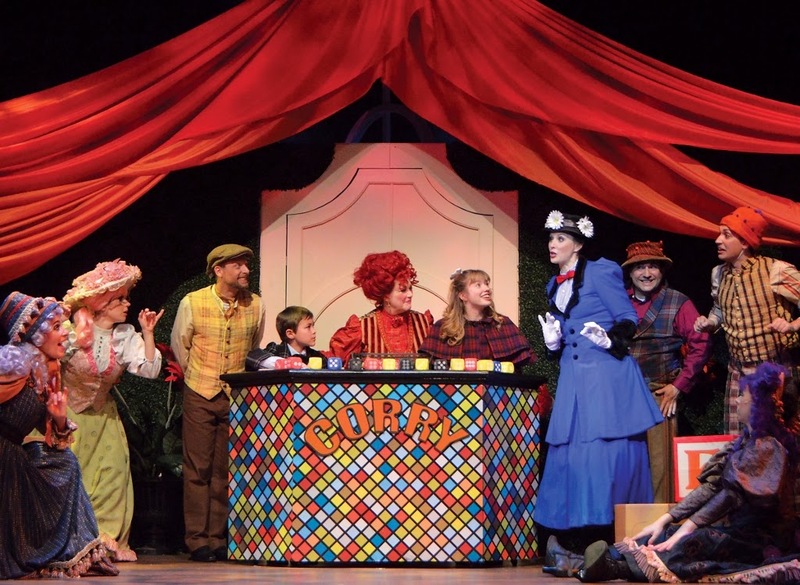 Bottom Line: The solid cast turns Beef and Boards' Mary Poppins into a high-kicking, colorful must-see for families and theater lovers of all ages which will only get even better with time. Elizabeth J. Musgrave writes the food and wine magazine columns, Destination Dining and White Linen, is a luxury, travel, food, wine and spirits magazine writer and photographer, and performing arts and restaurant critic for Gotta Go. Catch her as Indy’s Travel & Leisure Adviser on FOX59 Morning News Show. Read her also on GottaGo.us and FoodDigital.com. Find her on Twitter @GottaGo, LinkedIn and Facebook.